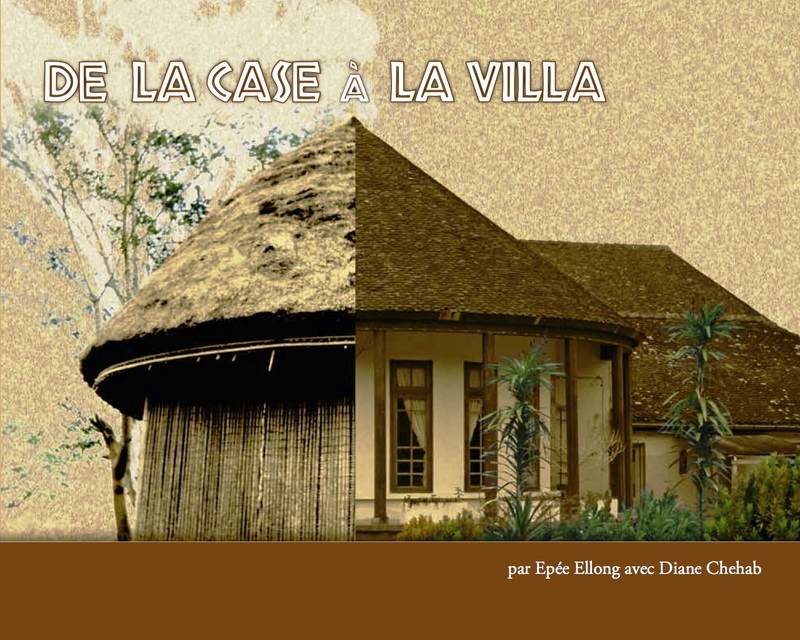 “De La Case A La Villa” is a discussion and analysis of the evolution of housing in African architecture from traditional dwellings to the modern home. This book attempts to answer the African architect’s constant professional dilemma of adherence to the concept of “modern African” architecture, while recognizing that Africans no longer wish to live in traditional-style dwellings as their life style and housing needs continue to evolve. The direction taken by Epée Ellong, and Diane Chehab, is to follow traditional African architecture through time to today’s African architecture, to show the contradictions in the social and technical transformations through various historical phases. To accomplish this work, Epée Ellong delves into his own experience and knowledge of Central Africa. He traveled extensively within Cameroon, and spoke with locals, including traditional chiefs and village elders. -Thoughts on the future of African architecture. We need a minimum of $9,000 (USD) to edit, review graphics, and print the book, which will most probably be about 230 pages in a 8” x 10” format, with many color illustrations. The rewards proposed include, depending on the pledge, illustrated color bookmarks, a book, a signed book, a telephone conversation, or even your name mentioned in the book. There are few books that explain the relationship between history, colonization, sociology and architecture in Africa. Epée Ellong is a native of Douala, Cameroon. He is an architect, trained at the Ecole des Beaux Arts in Paris, France. In 1983, he founded an architectural firm, CAEE, with his spouse, Diane Chehab, an American-born architect. The philosophy behind CAEE was to reincarnate African traditional architecture into modern design. A home whose basic materials are bamboo and palm fronds, and no electricity or running water, can’t be automatically transformed into a contemporary dwelling. Epée drew upon traditional symbolism and masks to “Africanize” CAEE’s architecture. The firm designed projects in Cameroon, Guinea, and Ivory Coast. Diane Chehab was born in the United States, lived in several countries and continents, and studied architecture at the Lebanese University in Beirut and at the Beaux Arts in Paris, France. She married her colleague, Epée Ellong, and moved to Cameroon to manage their architectural firm. She learned Duala, her spouse’s language, to better understand the culture. Indiegogo is a crowd funding site. If you wish to contribute to a campaign, you click on "contribute now" and choose your contribution. "Perks" are offered - in our case, a bookmark, a book, a signed book, etc... depending on how much is pledged. They charge you, but if the goal is not reached, you get your money back. You do NOT have to sign up for an Indiegogo membership to contribute, and you can use a credit card; you are NOT forced to have a Paypal account (even though it seems so!). Hey Diane, I am from Cameroon, can't make it for the hosting event but did spread the words and contribute. Look forward to meet Epee and you next fall. All the best!